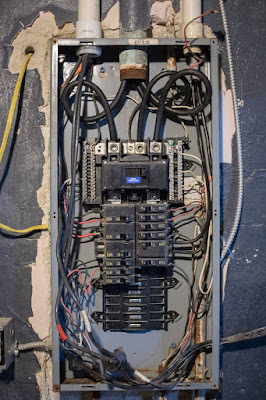 The other exciting project which has been happening at Bethesda is the electrical project. 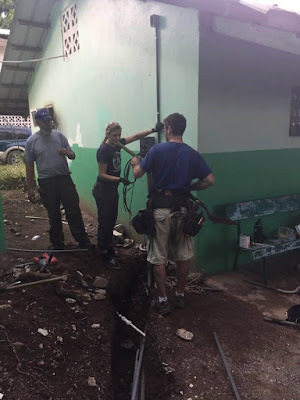 Our electricity supply was highly unreliable, which meant we had lights flickering throughout the day, many of our outlets did not work so our fans didn't work, our fridges where the vaccines are kept were not on 24 hours a day and if when the electricity was down we could not do X-rays. This affects the standard of care we can provide for our patients especially with the vaccines and X-ray. 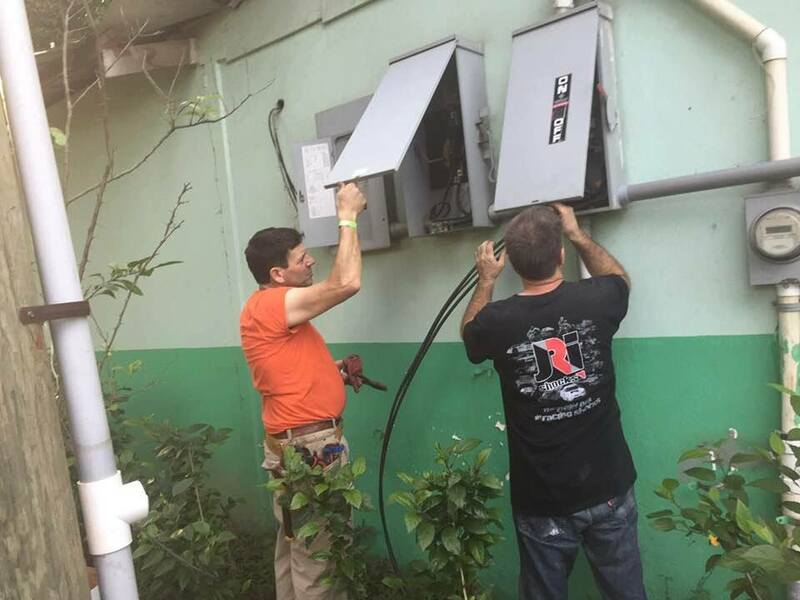 We were also having to run a generator all night, every night so we could have power for the emergency department and security lights. As you can imagine this was costing us a lot of money, fuel in Haiti is not cheap. A church from Salem, Oregon had been praying about how to help with this project. 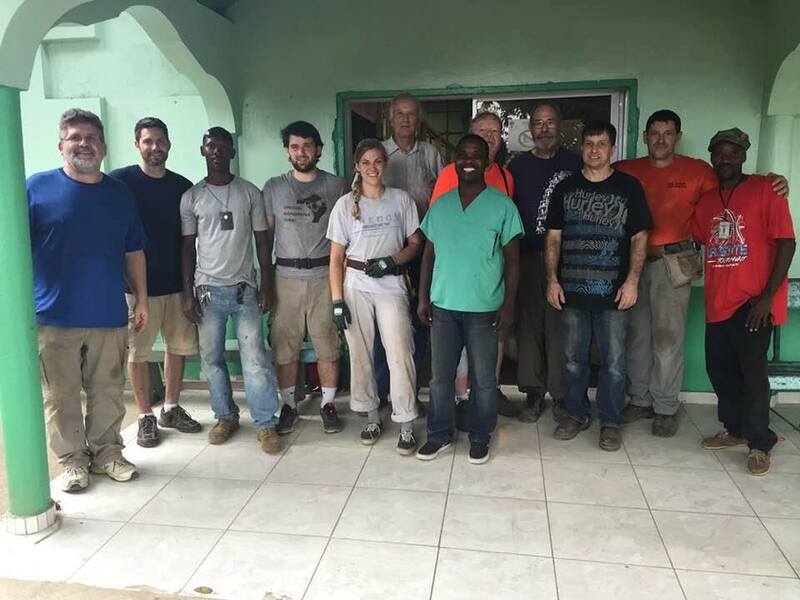 Over a period of time a team of 11 electricians came forward and began to plan their trip to come to Haiti in January. There was only one obstacle, they needed to raise $30,00 (US) for all the necessary supplies and equipement. The project involved re-wiring the whole clinic, installing new fixtures, new lights and two inverters. At the beginning of December the church had raised $10,000. The church then set up a matching fund up to the value of $10,000 until 15th December. I have to admit I highly doubted they would ever get all the funds they needed before the team came in January. Well I was wrong, I received an email on 13th December saying the current total was $34,000!! We are so thankful to God for his wonderful provision. Phase 1 and 2 have been completed. Now two wings of BMC have been re-wired with new fixtures, security lights and two inverters have been installed. This means we can turn the generator off at night and have power which will also keep our two fridges running for the vaccinations. The electricians are currently planning Phase 3 which is re wiring another wing of Bethesda in preparation for the installation of a new digital X ray system. When I started working in Bethesda in September 2016 we had very few supporters each month and were definitely not making ends meet. I really feel over the past year God has been blessing Bethesda. In just 8 months we have completed a new physiotherapy building, and 2 out of 3 phases for the electrical project. We are also up in our monthly support and have started fundraising for a new digital X ray machine of which we are 20% funded and also have a wonderful opportunity to have donations doubled up to $24,000 (US). It is has been amazing to see how God has provided.